Entrepreneurs engaged in retail or in simple buy-and-sell businesses can find a lot of items ready for selling in Divisoria. Those setting up other businesses—eateries and novelty shops, for instance—can also find a lot of the things they need in this supply haven. Check out the prices of some of the goods we found in Divisoria, compared with the prevailing prices of the very same items in a regular department store. The difference, of course, is an indicator of how much profit you could make if you were to sell the same items outside Divi. Plain T-shirts, for further printing and embellishment by T-shirt retailers, can sell for as low as 3 pieces for P100, if bought from ambulant vendors. 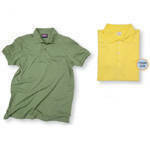 Divi’s wholesalers (6 pieces is considered wholesale) sell plain T-shirts for as low as P30 (light-colored, no collar, extra small) and could go up to P85 (dark, with collar, extra large) per piece. On the other hand, plain T-shirts in department stores sell for at least P279.75. Artificial flowers made out of cloth sell for P130 apiece (white rose); plastic flowers sell for P65 (lily) apiece. 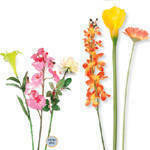 Similar flowers sell for about P59 to P130 when bought from department stores. Six stainless drinking glasses sell for P60 or P10 apiece, in Divi. 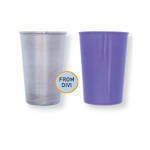 Six plastic drinking glasses being sold in department stores sell for at least P100 or P16.55 apiece. Divi’s malls teem with stores that sell hair accessories: pack of headbands, P180 (16 pcs. ); ribbons, P100 (16 pcs.). The same items, when bought outside, sell for P59.75 (headband) and P29.75 (ribbons) per piece. In Divi, a dozen pouches for trinkets sell for P30 (small), P35 (medium) and P40 (large). 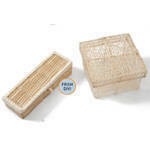 Two basket weave boxes sell for P90 and a meter of sinamay ribbon sells for P25. Go to a regular bookstore, and a similar cardboard box sells for P100 while a meter of cloth ribbon sells for P60.